The France Poker Series Lille battle has just been concluded with a non-France citizen winning the trophy. 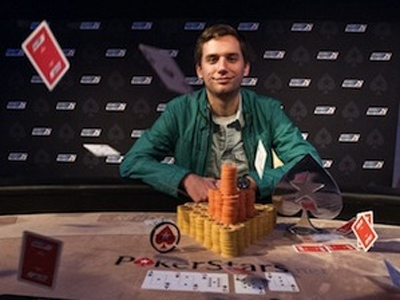 It was Bart Lybaert of Belgium who emerged victorious in the FPS Lille Main Event. He beat Frances Jamel Hassani in the heads-up. The Bart Vs Jamel clash actually lasted about 90 minutes for sixty hands played. Invincible, Bart Lybaert came up victorious of the clash and was awarded the top prize of  122,000. This is his biggest win and second career cash following his 1st-place finish in the 2013 Eureka Main Event. Runner-up of the poker tournament, Northern France native Jamel Hassani wouls console himself for  85,300. Finishing 3rd-place is Sonny Franco. He cashed  60,100. The other final-tablists are Arthur Conan (4th,  45,600), Julien Bottollier (5th,  36,100), Romain Paon (6th,  27,400), Romain Morin (7th,  20,100), Matti Konttinen (8th,  15,100) and Eemil Tuominen (9th,  12,100), the first man to be sent to the rail in the final table. The FPS Lille Main Event attracted a field of 745 players, including 276 on Day 1A, 387 on Day 1B and 82 on Day 1C. The event has guaranteed 103 In The Money places for a minimum gain of  1,930. When the bubble burst, it was Thierry Luksenberg who fell to being the Bubble-Boy while Benjamin Clery was the first participant to make the money. A number of big names walked away empty-handed. Include the likes of Erwann Pecheux (16th), Christophe De Meulder (17th), Roger Hairabedian (36th), Greg Hairabedian (52nd), Anthony Lievens (65th), Nicolas Le Floch (90th) and Nicolas Dervaux (91st).